Florida’s 2017 recreational bay scallop harvest begins on June 16 and lasts until September 10 in Taylor County Gulf waters, including Steinhatchee. While there are other Big Bend/Natural North Florida ports that offer access to scalloping grounds, it’s Steinhatchee that’s truly worked hard to make the experience a great one for everyone. One advantage that this port offers visitors is the availability of rental boats, equipped for snorkeling. There are three marinas on the Steinhatchee River, each offering boats for rent by the day. 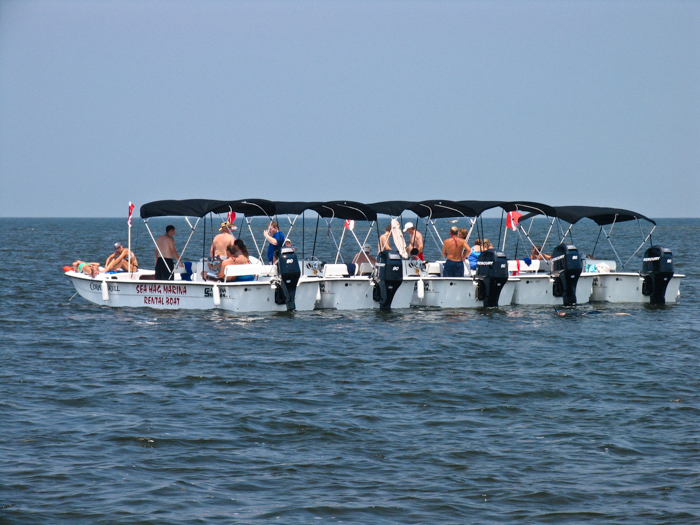 The Sea Hag Marina has a fleet of 24-foot Carolina Skiffs. River Haven Marina and Good Times Marina each have a selection of boats, including pontoon boats. Most are equipped with USCG required safety gear and ladders, making them a good choice for heading to the scallop grounds on the grass flats off the Steinhatchee River mouth. 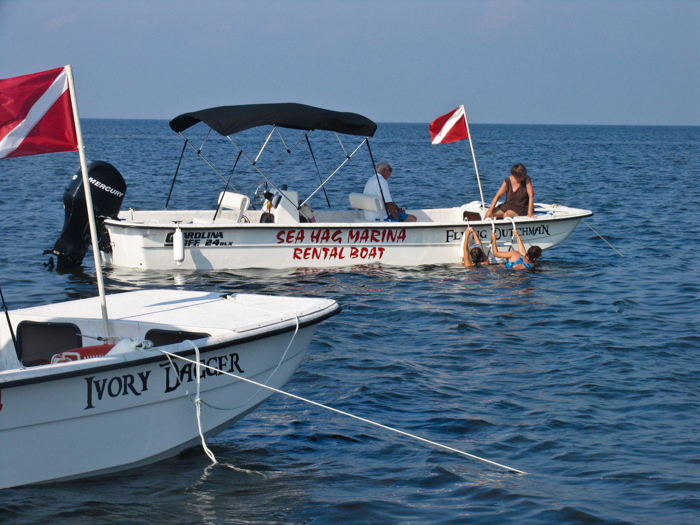 So, even if you already own a boat, why rent? As an example, consider the $249 (plus tax and gas) to rent a boat at the Sea Hag. If you live 60 miles away, in Gainesville, you’ll drive 120 miles. At 50-cents a mile that’s $60 spent just getting there and back. Launching your boat will cost 5-bucks at the Steinhatchee, and doesn’t take into consideration waiting in turn to launch at this busy public ramp. If you tie up overnight at a marina (and if space is available!) add a buck a foot a day! Finally, if you haven’t used your boat/trailer rig since last scallop season, how do you know your trailer bearings are good and whether your boat will start after sitting all winter? Consider all of that and consider renting!